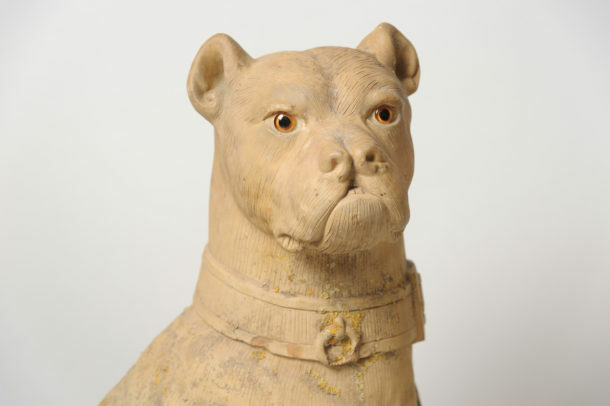 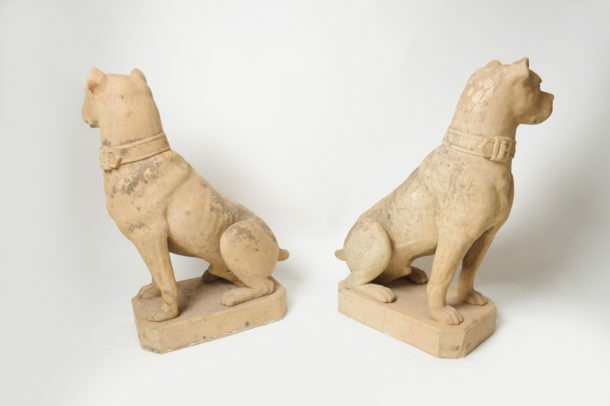 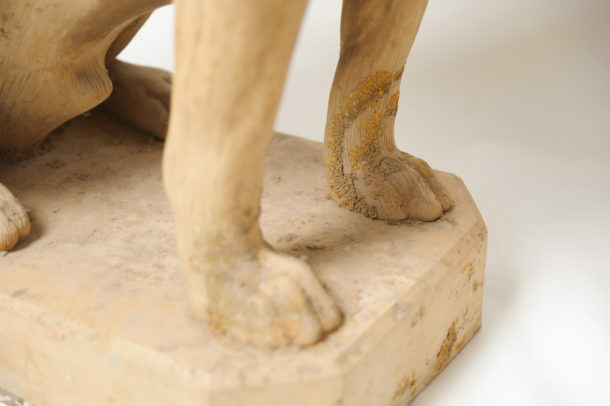 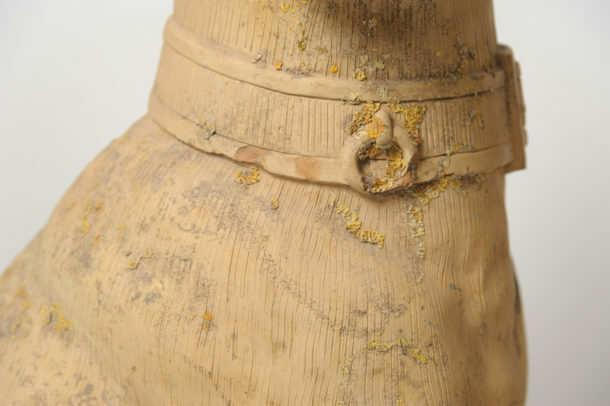 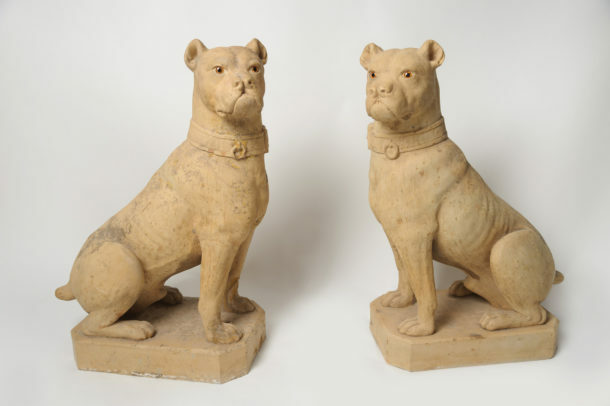 Exceptional pair of rare 19th Century Toulouse terracotta dogs. 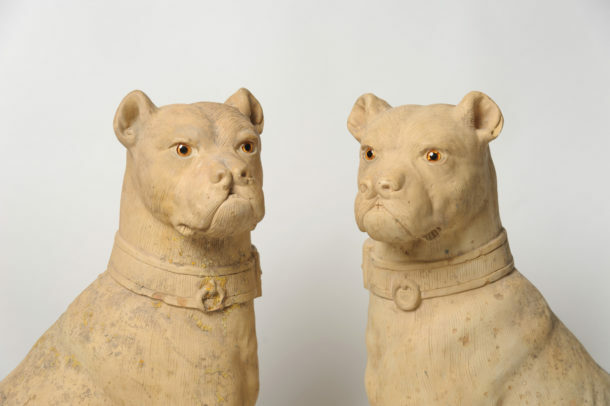 Rarely do you find one, let alone a pair. 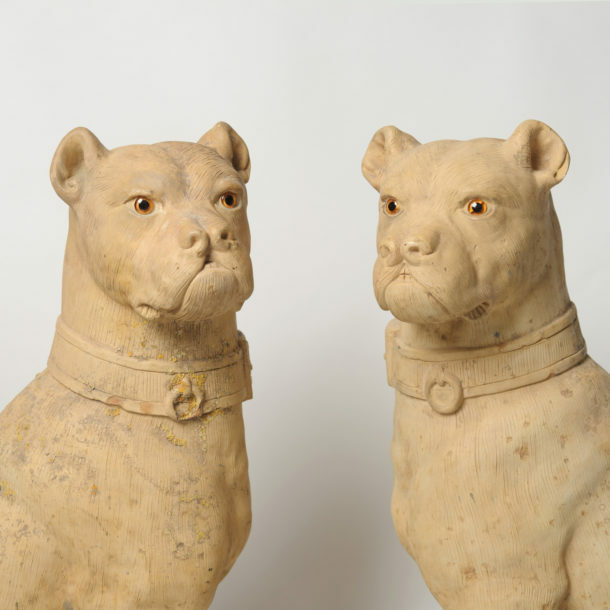 Displaying a massive attitude this pair would certainly make a statement in the home or garden. 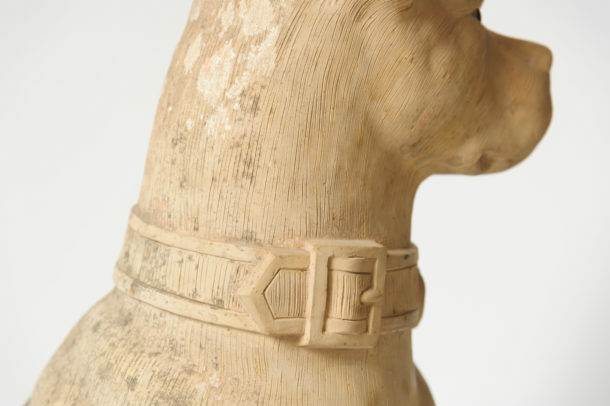 Just fabulous.